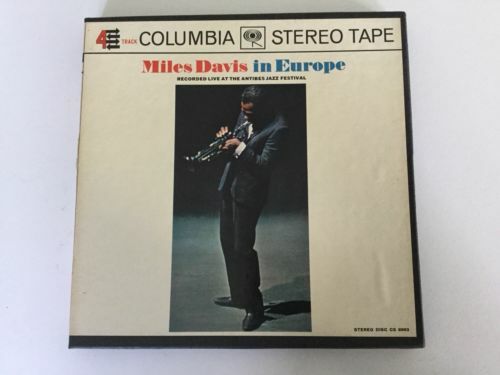 Reel-To-Reel Tape: Miles Davis In Europe, 4-Track, 7 1/2 IPS, Rare Columbia. Outstanding visual copy. I don’t know a lot about these but it looks to be unplayed as the tape seal is still intact. Very clean box inside with perfect inner liner notes and outside with some wear on the spine (see picture). Tape itself looks clean as well. Will be securely packed and item is in-hand ready for shipping. Please ask any questions, will be happy to try and answer.